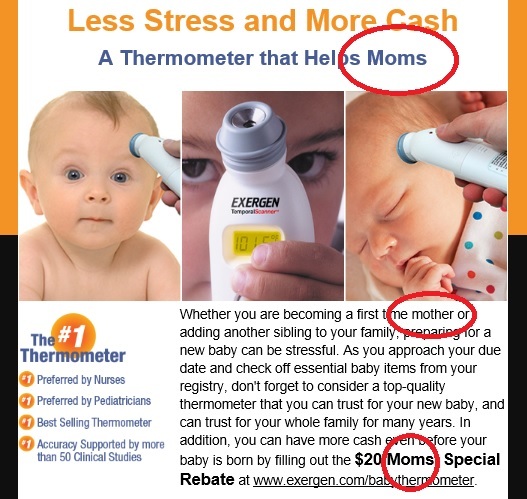 Somebody may want to tell the marketing team at Exergen that there’s something unique about its product which it clearly didn’t realize before sending out its latest rebate offer via email: dads can use thermometers, too. I know, I know, this may seem hard to believe. We all know there’s certain things each gender can’t do: women don’t know how to use power tools; men can’t become nurses; women can’t play sports; men can’t cook. But we’re here to say that despite these gender inadequacies, it’s entirely plausible that dads may be able to hold an instrument – and a baby! – and measure its fever. Why? Because they care. Because they count. Because they’re parents, too. You’ll have to forgive us for our heavy dose of cynicism, but we’re living in a world where companies are spending so much money on making its creation the absolutely best it can be (or as Exergen puts it, “changing the way the world takes temperature”), and remaining so wrapped up in product development, that they tend to overlook one key component: to whom they’re selling. That a classic marketing misstep, because there are a lot of thermometer companies out there. Perhaps Exergen offers the world’s finest thermometer that will ever be made, and no other product on the market can compare. 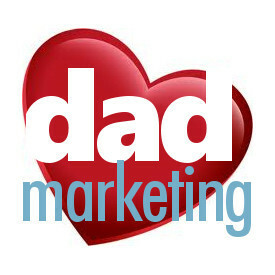 But if it isn’t speaking to dads, they why would the “other half” of its customer base listen?